For a mineral that’s involved in more than 300 chemical reactions in your body, magnesium gets far less attention than more “common” minerals like calcium, potassium and zinc. Yet, it’s a good idea to make magnesium a ‘household’ term, as it’s the fourth most abundant mineral in your body. While most magnesium is stored in your bones, where it plays a key role in bone metabolism, considerable amounts are also stored in your soft tissues and blood. 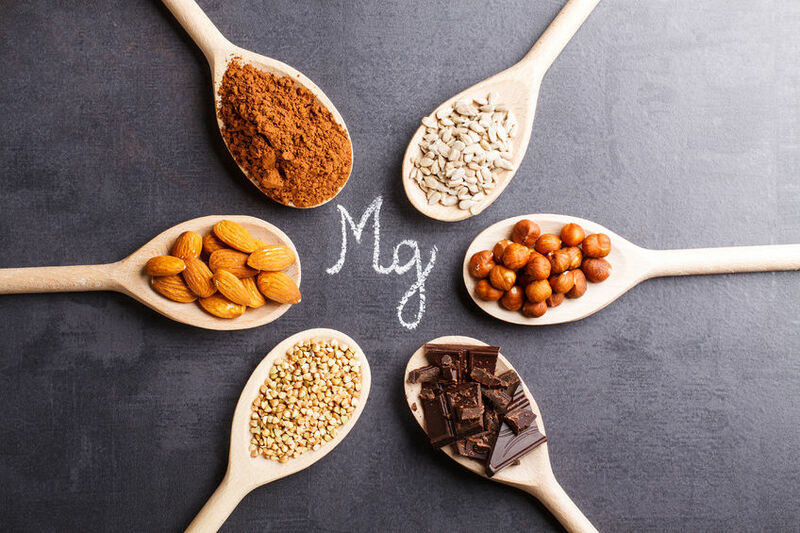 Magnesium plays a critical role in human health, but The National Health and Nutrition Examination Survey showed that significant numbers of women and men do not consume the recommended daily dietary intakes of 320 and 420 mg, respectively. Among adults, 68% consume less than the recommended daily allowance (RDA) of magnesium, and 19% consume less than 50% of the RDA. At least 100 health benefits have been attributed to magnesium so far. For instance, the mineral is known to play a beneficial role in heart health, blood sugar metabolism, premenstrual syndrome, bone health and even aging. There’s likely far more waiting to be discovered about magnesium too, as one study found that human proteins have more than 3,700 binding sites for this mineral. Magnesium Deficiency and Inadequacy: Who’s at Risk? People with gastrointestinal diseases: Crohn’s disease, celiac disease and bypass of the small intestine can lead to magnesium depletion and loss. People with chronic alcoholism: Magnesium deficiency is common among this group. Older adults: You become less able to absorb magnesium from your gut, and magnesium excretion increases, as you age. People taking certain medications: For example, prescription proton pump inhibitors (PPIs), like Prevacid and Nexium, may lead to low magnesium levels when taken long term. Certain antibiotics, diuretics, chemotherapy drugs, and steroids may also lower magnesium levels. Keep in mind, however, that only 30 percent to 40 percent of the magnesium you consume via your diet will be absorbed by your body. This is partly why it can be difficult to get enough magnesium from your diet alone, especially as you get older and your body has more difficulty absorbing this mineral. Remember, one of the best ways to ensure you’re getting the magnesium you need is to eat a varied, healthy diet full of whole foods like green leafy vegetables, nuts, seeds and whole grains. If you think your diet is lacking, a high-quality magnesium supplement may be necessary to fill in the gap. BMC Bioinformatics. 2012;13 Suppl 14:S10.